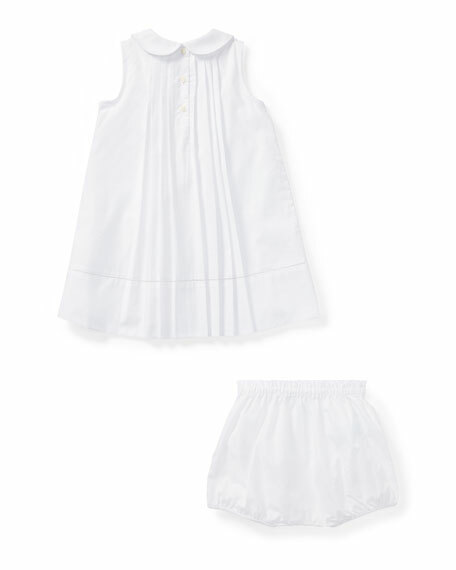 Ralph Lauren Childrenswear broadcloth dress. Petite flower embroidery at collar and hem. 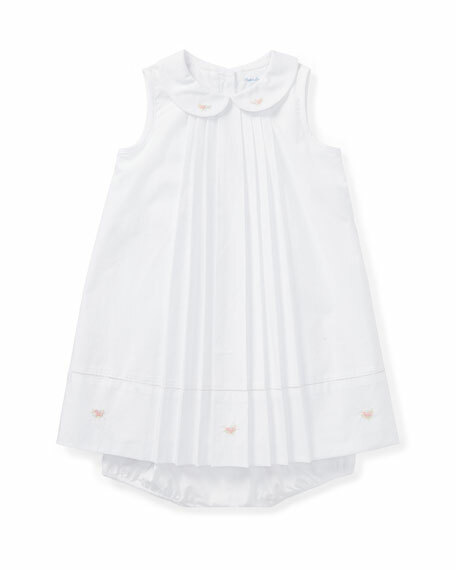 Peter Pan collar; three-button back. Accordion pleats at front and back. For in-store inquiries, use sku #2572027. 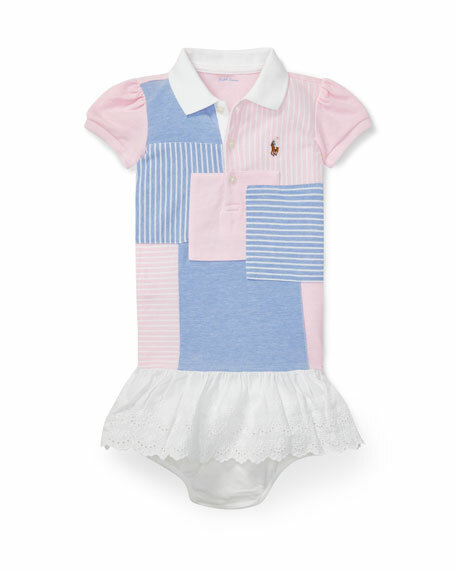 Ralph Lauren Childrenswear knit patchwork dress. 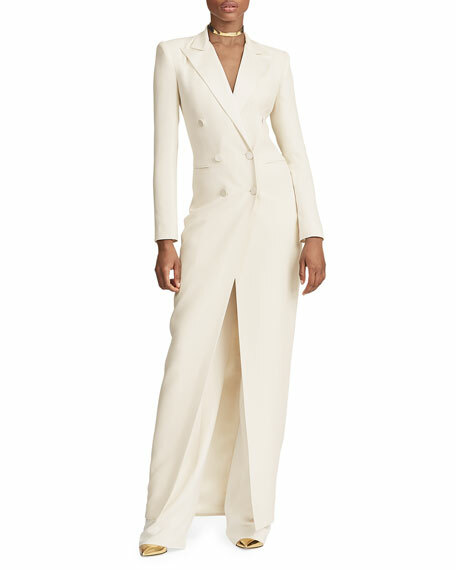 Solid spread collar; three-button placket. Short, puffy sleeves. Ribbed collar and cuffs. Logo embroidery at left chest. Eyelet embroidered skirt. Drop waist. A-line silhouette. 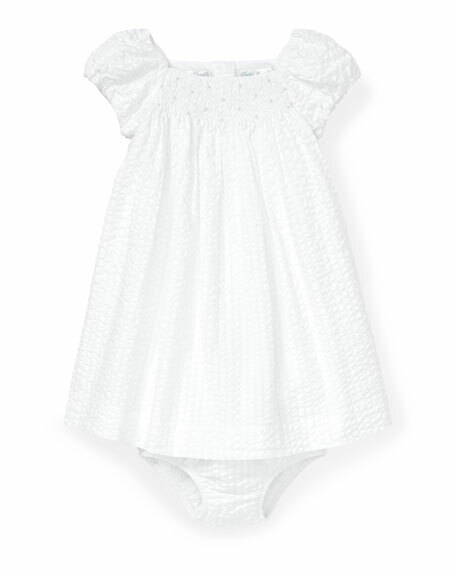 Includes solid bloomers. Cotton. Imported.